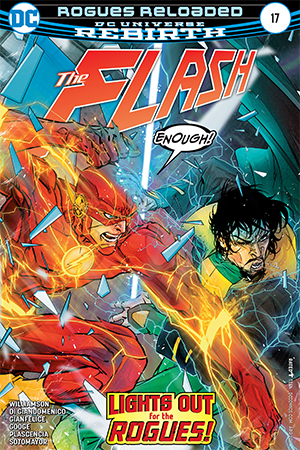 The Rogues Reloaded arc concludes in The Flash #17, presenting us with an all-out battle between Barry and Captain Cold. 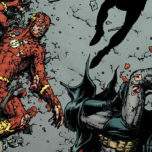 Of course, his teammates help out as well – but the climax is between Flash and arguably his most famous villain. The fight that opens the issue serves two purposes, one of which is to deliver on the promise of the entire arc. And Joshua Williamson certainly does that this week. The other, however, is to re-establish the importance of the Black Hole group, which hasn’t been seen since The Flash #7. Since Barry defeated Dr. Carver, the plot about what Black Hole is up has fallen to the wayside. 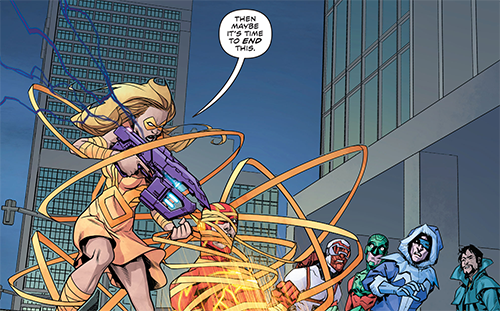 But now that Captain Cold has returned with a gun that draws from the speedforce itself, there is plenty of set up for a future arc. Barry once again displays his eternal optimism – which this run has captured remarkably well – as he tries to convince Leonard that he has the potential to be a hero. 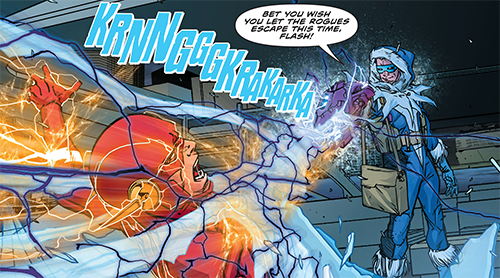 Captain Cold quickly turns that argument around on The Flash, though, declaring that the hero feeds off his antics and only saves the day for selfish reasons. 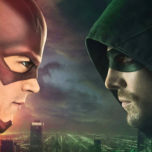 Of course Barry wouldn’t be the hero we know and love if he fell for that mind game, and instead he uses that scientific brain of his to figure out how to escape the grasp of Cold’s gun. 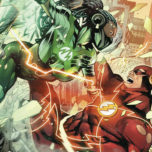 This leads to an even bigger stand-off between The Flash and the rest of the Rogues, allowing for the art team to showcase their best lightning storms and other tricks of the trade. The letting takes on a life of its own this issue, helping each faction of the fight feel as unique as possible. Carmine Di Giandomenico is joined by Davide Gianfelice and Neil Googe this week, but the art does not feel cluttered or schizophrenic. 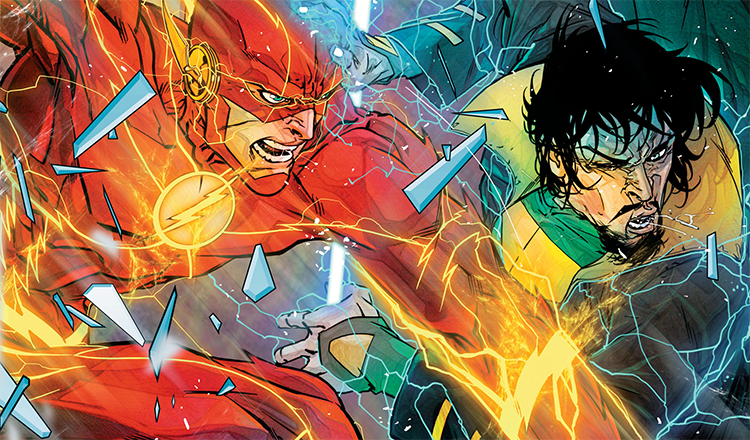 Both the pencils and colors (where Chris Sotomayor was added) are smooth and fit perfectly into the world of The Flash. This makes sense, since all the artists are veterans of this run and seem to have a grasp of what Central City and its citizens should feel like. Even though the majority of this week’s issue of The Flash belongs to Captain Cold, it’s Golden Glider who gets the big emotional moment. While the resolution to her decision isn’t as satisfying as the build up, it still effectively draws the line between Barry and the Rogues. And perhaps more interestingly, it gives a peek into how much further Lisa Snart is willing to go than her brother. The ending of the story makes it clear that there’s room for another Rogue arc in the near future, and that might be the perfect time to explore the dichotomy between Captain Cold and Golden Glider further. What hardened her despite being under her brother’s pseudo-leadership? 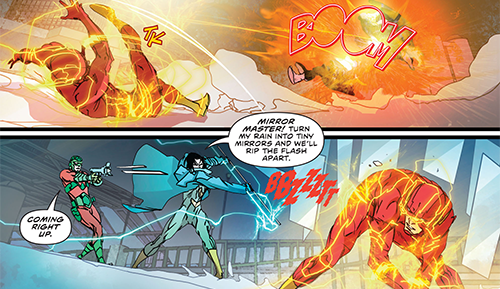 And now that Cold feels he’s been bested by the Flash one too many times, will he start acting more like his sister? Verdict: 3.5 out 5 stars. A mostly satisfying conclusion to the first Rogues story in Rebirth, with plenty of set-up for other exciting arcs. 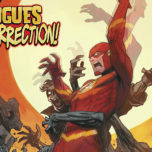 Definitely looking forward to what comes of Wally’s search for his father and how Black Hole will factor in once more.